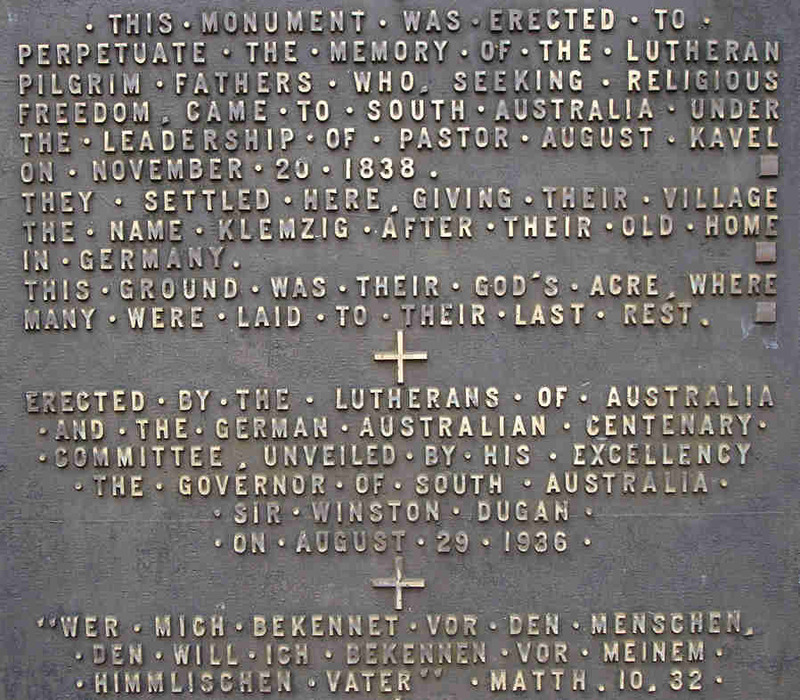 Our South Australian German/Prussian immigrants are a crucial part of the successful settlement of this State. The first wave arrived, as religious refugees, with Pastor August Ludwig Christian Kavel in Nov 1838. They travelled on two ships, the “Prince George“ and the “Bengalee“ just two years after the first settlers arrived on these shores. Kavel’s people rented 150 acres of land, for seven years at 5/- an acre three miles up river, from “South Australian Company” director George Fife Angas, who had sponsored their assisted passage to the new colony. They named it “Klemzig” after their village in Germany. It is said that the aboriginal people called it “Warkowodli Wodli”. The new arrivals set to work building and farming and within a month were selling radishes, the first freshly grown food in South Australia, at a shilling a bunch. They were well rewarded for their hard work – a cucumber was also worth a shilling, and 7 equalled a worker’s daily wage. These hard working peple certainly needed the money as Angas had to be repaid for their ship passage and also for the lease of the land. A young man often acquired the “ship debt” of his new bride upon marriage. 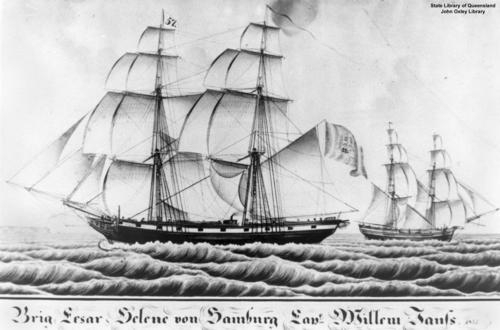 The ship, the “Zebra”, arrived the following month with another 187 Lutheran migrants on board. It was captained by Dirk Meinhertz Hahn and, after a brief stay in Klemzig, 38 families left and settled on 150 acres in the Adelaide Hills, purchased from William Dutton & partners for $14 per acre. They named their township “Hahndorf” and they too had a huge debt to repay. The Hahndorf Pioneers soon set about clearing the land, planting crops, breaking in the cattle and milking the cows. They built their first houses with any avaliable materials to quickly provide protection from the very different climatic conditions in their new country. “Their first winter in the Adelaide Hills was far from what they had expected. Food was often lacking and many went without at times. These pioneering women followed the 36km “Paramuk Aboriginal trail”  in the dark, arriving at Beaumont at dawn, where they’d freshen up in the creek before walking the final 5 kms into the Adelaide markets. Often they carried bricks back 36 kms to Hahndorf for the building of more substantial homes. Commencing at the “Hahndorf Institute” in Main Street, Hahndorf, the route follows the main road out of Hahndorf, crossing the Onkaparinga River before joining the official trail at Verdun. This historic trail winds its way through the back streets of Bridgewater and Stirling, traverses the beautiful bush trails of Mr George Conservation Park and Cleland Conservation Park before finally opening out onto stunning city views and the descent to Burnside. Following the run, a BBQ will be open to the public all day at historic “Beaumont House” to bring the event to a celebratory conclusion. Participants requiring further information, just click here. Our German/Prussian immigrants are not only an important part of South Australian History but aso my own Family History. Wilhelm Emil Habel, my husband’s Grandfather of “Habel’s Bend”, is the eldest child of Johann Friedrich August and Johanne Henriette Siefert. They travelled from Brandenburg, Prussia aboard the “Johann Caeser” with family and some 260 other German/Prussian immigrants, arriving at Port Adelaide on a hot summer’s day, 1 Jan 1855 and settling in Dutton, South Australia where Wilhelm was born. Wilhelm Emil Habel married his second wife, Maria Mathilde Grosser, on 19 Jul 1890 at Dutton. 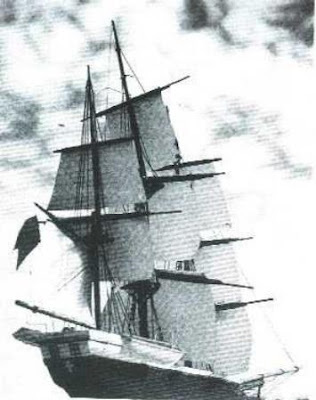 Her father, Hermann Eduard Louis Grosser, arrived with his parents and 5 siblings aboard the “Skyjold” on 3 Jul 1841. They were amongst the congregation of Pastor Gotthard Daniel Fritzschke whom Pastor Kavel had encouraged to emigrate. Whilst his congregation was committed to making a new life in a new land, their Pastor was initially undecided. 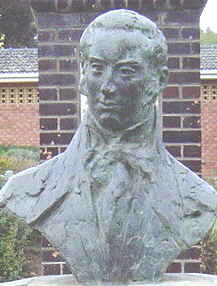 Fritzschke’s people settled at Bethany, in the Barossa Valley, and experienced many of the same difficulties as the Hahndorf settlers. They too owed a “ship debt” and land lease payments to their sponsor, George Fife Angas. Maria, Wilhelm’s second wife, bore him 9 children bringing the total number of children he fathered to 16. Eight of their children survived childhood and little Elisabeth Clara, is buried near the “Habel Homestead” at Loxton, South Australia. You can read about Elisabeth by clicking here. Wilhelm, like many descendants of the German/Prussian Pioneers prospered and he displayed the fruits of his labour in a lavish celebration for the Wedding of Lina Martha Habel, his third daughter with first wife Marie (Martha) Emilie Fielke. Click here to read about this extravagance. We, the descendants of these courageous pioneers, owe our Ancestors a huge debt of gratitude which is described movingly in the poem posted here on the first day of this blog, Australia Day 2012. “God’s Lost Acre” by William Reschke, Sunday Mail, 9 Mar 1975, p. 11. “On the trail of settler history” by Sam Kelton, The Advertiser, 10 May 2012, p 15. This entry was posted in Farming, Grosser, Habel, History, Immigration and tagged Captain Hahn, Family History, Genealogy, Hahndorf, Immigration, Johann Caeser, Pastor Fritschke, Pastor Kavel, Pioneer Women's Trail, Skyjold, South Australian History by Catherine. Bookmark the permalink. I love South Australian history and having Prussian ancestors this was a great read!! Thanks Kylie … Yep, our SOz history is quite unique & I love it too!! !… ooohhh, you wrote on your blog that South Australia is a small place. Maybe your Ancestors & mine got together and we’re related 🙂 … that’d be fun. eh? A person doing the same as me Great I will read ur stuff later.My dad was an Italian immigrant after 2nd world war. Pleased you enjoyed the post. My “daughter-in-love’s” Italian Grandfather was a Prisoner of war here during the 2nd world war. He later immigrating to Australia with his entire family. SO glad he did!!! Thanks for commenting. History about my forefathers from Prussia.